Story structure of a heist movie in 15 sentences. I walked up to Redbox simultaneously rubbing my hands with glee but also doubtful because we haven’t had much luck in the movie department. One of the first movies I noticed was Man on A Ledge. At first, I thought it sounded really dumb but…as soon as I saw the words diamond heist I didn’t need to read anymore. Of course I won’t mention that I left the movie in the shopping cart in the parking lot and had to return and then pay for it again. Nope, not going to mention that at all! So, if you couldn’t tell, I love, love, love heist movies and I love studying them. #plotnerd #savethecat. So here goes. Nick Cassidy eats his last meal in a hotel (alone), wipes down all his fingerprints, writes the suicide note, and then climbs out the window and onto the ledge. For me, it’s hard to pick out the moment they reveal the theme because I’m watching the movie and taking notes, but the strong theme of looking beyond the facts to find the truth is very apparent. During a flashback, we learn Nick might have been unfairly imprisoned, he’s an ex-cop, and he escaped while attending his father’s funeral. During the flashback we learn Nick’s appeal had been overturned and he’d be in jail for 25 years. Tricky in a heist movie because there is usually not a huge character arc but I’d say his debate occurred when he was denied the appeal. Obviously, he chose to do something about it and escape! Nick Cassidy says he won’t talk to anyone but Detective Mercer, so Act II starts for me when she shows up at the window to talk Nick out of jumping. The subtle romance between Nick and Mercer as she tries to do her job and he plays her and stalls for time. Joey Cassidy, Nick’s brother, and his girlfriend break into a nearby building to steal a diamond while Nick draws all the media attention. Due to a news helicopter, Nick is recognized, and we learn he was previously in jail for already stealing the diamond. We see David Englander, the owner of the diamond, talk with dirty cops to “take care” of Nick. Per the usual heist movie or book there is not a huge character arc, nor a dark night of the soul. The tactical team arrives from helicopter and the chase begins when Nick breaks back into the building. At the start he was eating alone and now he’s in a bar with Mercer, his brother and girlfriend, and his Dad. Yes, a nice twist at the end and it’s confirmed that this elaborate heist was planned and a success! Overall, I really enjoyed this heist movie especially because the motivations behind it were personal with Nick’s freedom on the line. 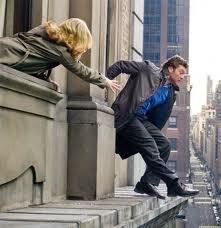 And I learned that Man on a Ledge is a cop term for a potential suicide. And I loved seeing the similarities between this break down and the break down of Heist Society by Ally Carter. Do you like heist movies? Any good ones? If not, what do you like to watch? 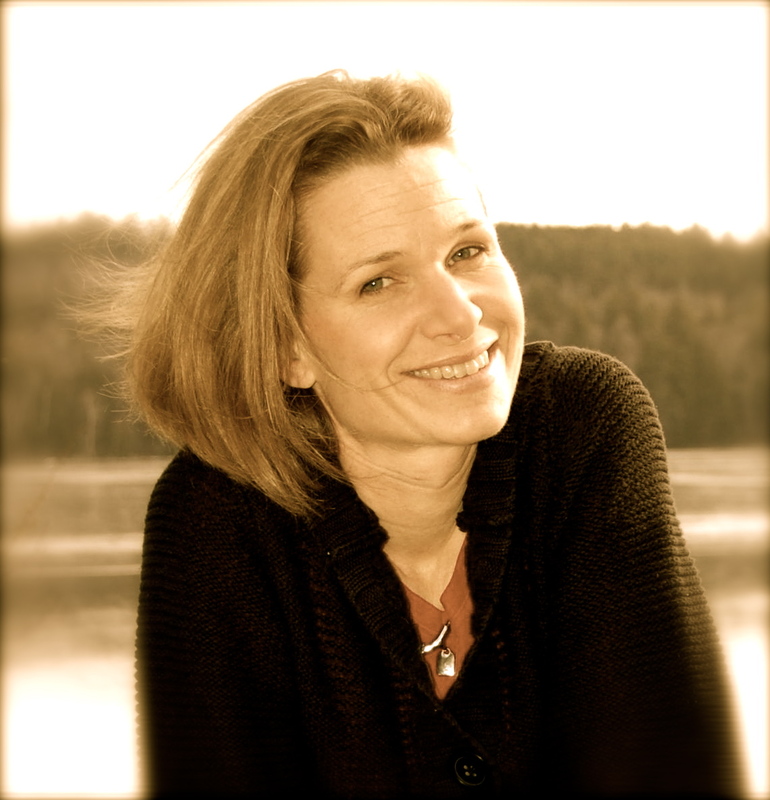 ← Four steps to purchasing Indie books successfully. 33 Responses to Story structure of a heist movie in 15 sentences. I’m embarrassed to say I’ve never even heard of the movie. I tend not to watch heist movies, so that might explain that. I’ve probably heard of it but then forgot it. Don’t worry I’d never heard of it either even when it was back in the theaters. I just saw it at Red Box and liked the cover so pressed for more info! I love this breakdown. I think it’s a wonderful idea; you’ve got my mind going about a couple of projects. As far as heist movies go, does the Ocean’s Eleven series count? Just saw that again, and I come away with something new every time. Thanks for the food for thought! Good to read a positive take on this movie. I do like heist movies so will check it out on NetFlix. I haven’t heard anything good or bad about this movie, which means it probably didn’t get a great response. Probably it drew people like me that like heist movies to begin with. But I’ve seen worst heist movies. I thought this one was well plotted and executed. Always love how you break down plot of movies and books. I haven’t seen a any heist movies lately. I want to see TOWER HEIST in the future. From what I remember, I enjoyed Tower Heist too, wasn’t as much of a spoof as I thought it would be with Ben Stiller involved. Great post, Laura! I always love your breakdowns! It really helps to break down movies and books. i’ve learned so much! Oh wow you left it!! Oy. lol, definitely a case of writer brain. I’ve got one of those too. But I like how you broke it down. Never heard of the film, but I enjoy heist movies too. They take a lot of thought and planning to pull off! Eep!!! I had to stop reading half-way through b/c I was scared the ending was there. But I’m totally digging this setup! Somehow I missed this movie, but we’re going to snag it next time. To Catch a Thief starring Cary Grant and Grace Kelly is my favorite heist movie! Oo, I’ll have to check it out. I bet it’s good! Thanks for the rec. A good heist movie is always entertaining, especially if there’s a “what” moment at the end. I never heard of that movie either, but I love how you broke it down. I do like some heist movies but I’m picky about which ones I watch. However, you made this one sound really interesting. I’ll have to check it out. I agree Stacy, not all of them are done well but I enjoyed this one. Of course, take into mind that I love these kinds of movies. I don’t watch heist movies but love how you broke this down. Loved the ending. Oh you’re good, girl!!!! I remember this movie…I do, I do! Eek! I only read up to the second image. I haven’t seen the movie yet and I so want to. However, once again, you break down what I read in the simplest of terms. Love that. My son and I watched Tower Heist a few months back and were pleasantly surprised. Not at all what I expected. It made me want to watch Oceans 11 again. I want to see this movie….mostly because…. *Ahem…JamieBell…is in it..Yeah…moving on. 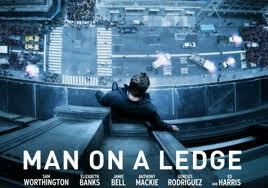 Anyhow, I’m also curious as to how you can have a whole movie about a man sitting on the edge of a building. Well, now I know, and it sounds even more interesting. I was wondering if this movie was a good one. Settings with such a restrictive side to them can be hard to pull off but it can still be intense. (Panic Room for example). Great breakdown! The one heist movie that’s always stuck in my head is the original Italian Job. So brilliant. And there are apparently coming up a few big ones, like Brilliant, Now You See Me, 5 Minutes to Live and Danny Boyle’s Trance! Hi Laura, I just watched Man on a Ledge looking specifically for the 15 beats as a student of mine had done a bs2 for it and wanted to know if she’d done it right. I would say that the theme stated is delivered by the priest at the funeral for Nick’s father when he says, “now he is truly free.” This, I think, sums it up nicely… what will it take for Nick to truly be free? Death, like his father, or something else? I also think that the finale is a good example of Blake’s 5-step finale… Ed Harries reclaims the diamond in a high tower surprise and then Nick has to ‘dig deep down’ and jump off the building to stop him – risking death to be truly free.